It’s cupcake o’clock! The Original Preppy Hostess’ birthday is tomorrow, so I absolutely had to make cupcakes that fit the occasion. 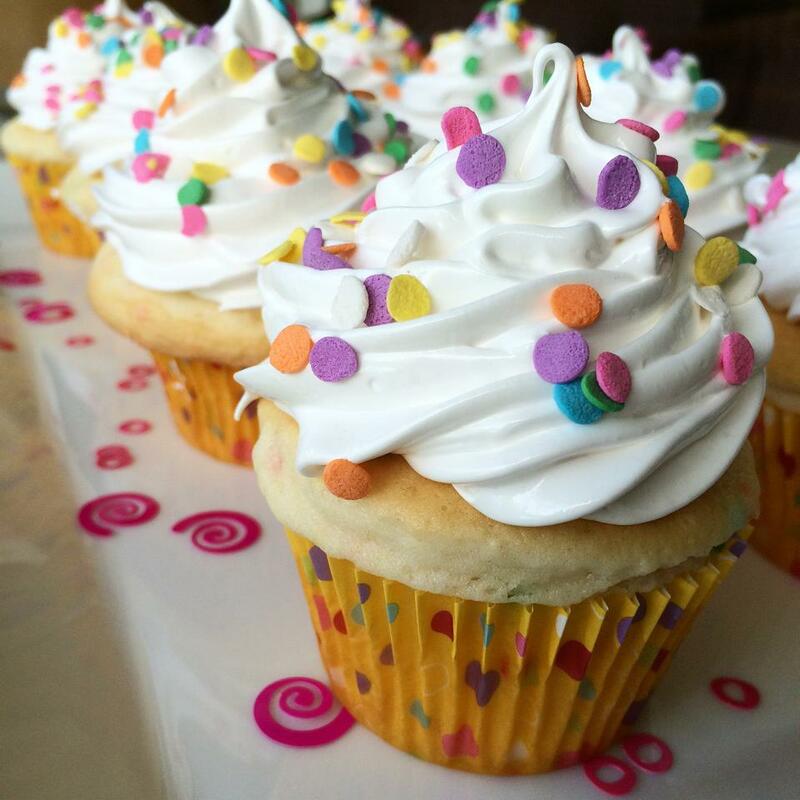 Nothing says ‘Happy Birthday’ more than funfetti cake with homemade marshmallow frosting! 1. Whisk sugar, egg whites, 1/3 cup water, light corn syrup, and cream of tartar in large metal bowl to blend. Set bowl over saucepan of barely simmering water (do not allow bottom of bowl to touch simmering water). Using handheld electric mixer, beat on medium speed until mixture resembles soft marshmallow fluff, about 4 minutes. Increase mixer speed to high and beat until mixture is very thick, about 3 minutes longer. Remove bowl from over simmering water. Add vanilla extract and continue beating until marshmallow frosting is completely cool, about 5 minutes longer.